Plate 19: Bounded by W. 47th Street, Eighth Avenue, W. 36th Street and (Hudson River, Piers 66-77) Twelfth Avenue. 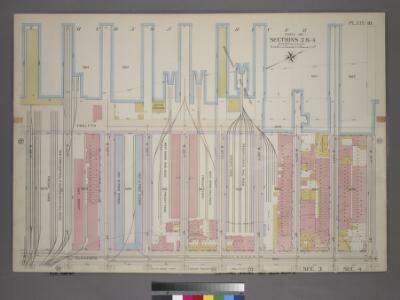 Part of Sections 3 & 4 : New York City. Pl. 19: wards 20, 22. Part of Sections 3 & 4 : Plate 64.